​Dwayne "the Rock" Johnson (Rampage, Skyscraper, Moana), has been tied to a DC "Black Adam" film since 2008. Now, over ten years later, it seems DC is finally moving forward, with filming in spring or summer of 2019 looking likely. The main villain of Shazam!, Black Adam receives his Superman-like powers in a similar fashion, by having them bestowed upon him by ​a 3,000 year-old wizard. He was originally set to star in the upcoming Shazam! 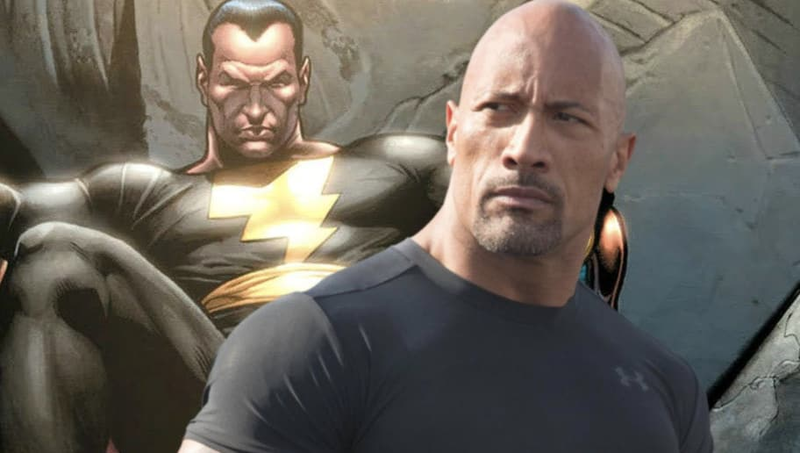 film starring Zachary Levi, but DC has since announced that Johnson will star as Black Adam in a standalone film and will be portrayed as more of an antihero who wants to clear his name and past wrongdoings. Speaking with ​Films Starts for his new film Skyscraper, Johnson revealed some surprising information regarding the production of Black Adam. While DC has shown they're ​​leaning towards more solo character films than large team-ups​, Johnson acknowledged that, "without giving anything away, there MIGHT be maybe a cameo or two of some of the other DC superheroes." One could guess a Shazam cameo wouldn't be too out of the way, considering their long history in DC comics, but it's pretty wide open as to any other potential cameos. Shazam! premieres on April 5th, 2019, with Black Adam likely to start filming sometime after, followed by a release date in 2020.